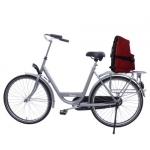 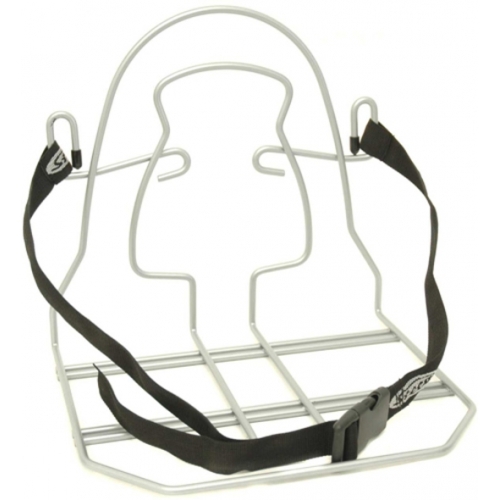 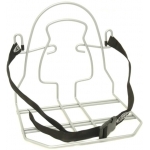 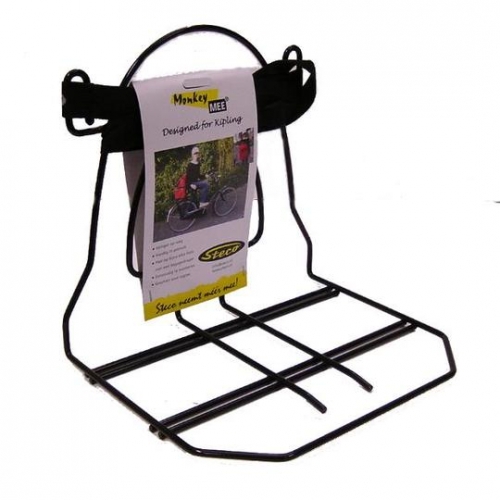 The Steco Monkey Mee allows easy carriage of a rucksack or backpack on your bicycle. 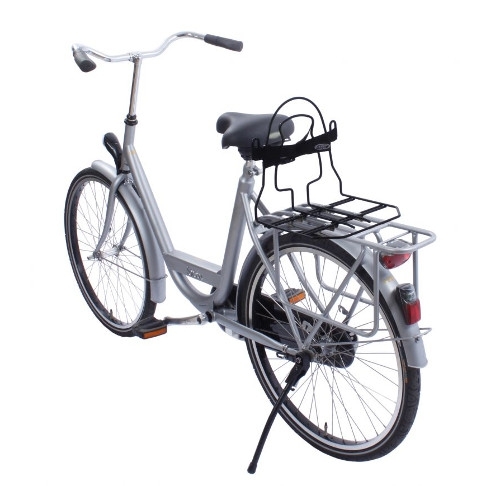 Fit the frame on the rear rack and the rucksack fits on top of the frame. 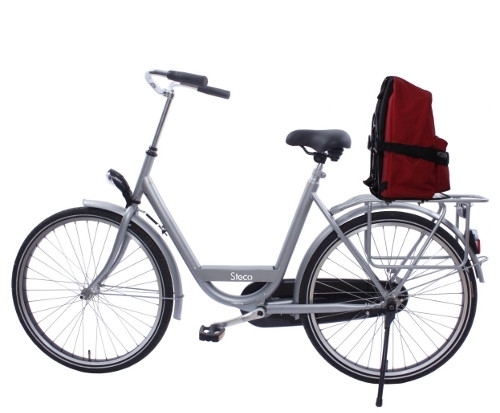 Result: the convenience of using a rucksack when walking but no more sweaty back when cycling with luggage. 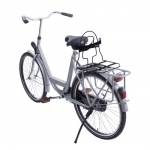 Many school-children in the Netherlands use this adaptor to carry their school books, but it's also very useful for adults.